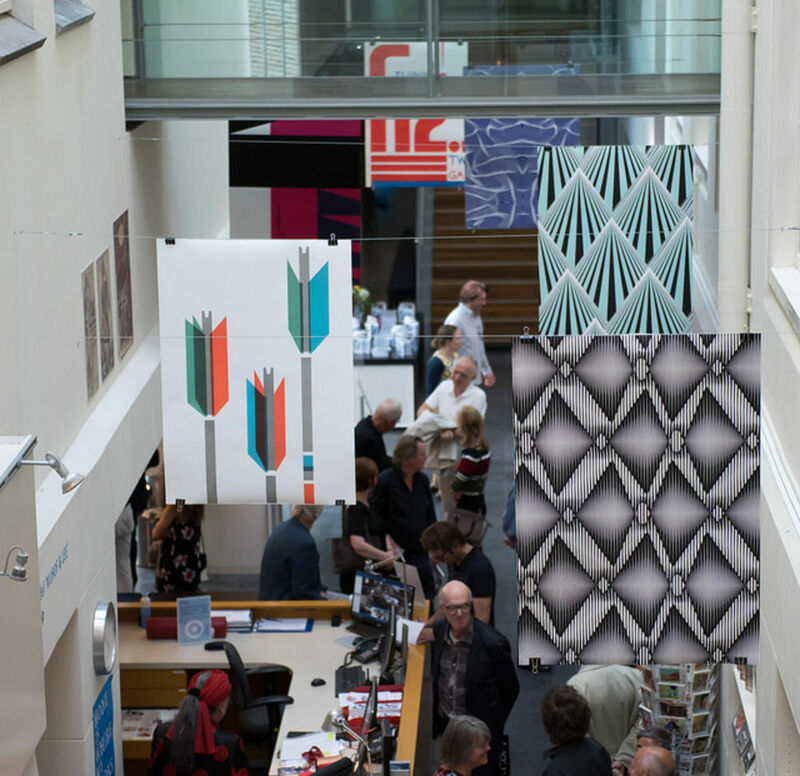 Modernism: In Print at the Special Collections of the University of Amsterdam. Exhibition photography by Monique Kooijmans. The influence and legacy of De Stijl is most often considered in the context of fine art and architecture. 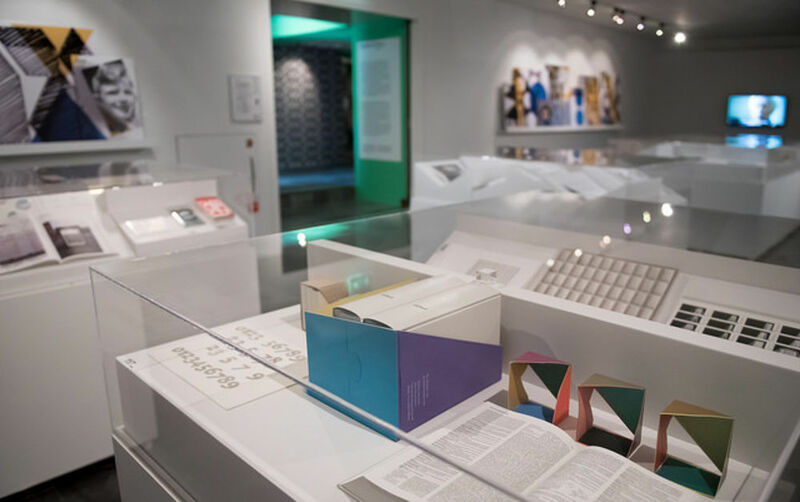 However, the movement—which was founded in Leiden, Netherlands in 1917 with the launch of a journal of the same name—has also had a significant impact upon graphic design in the century since its inception, particularly within the work of Dutch designers. 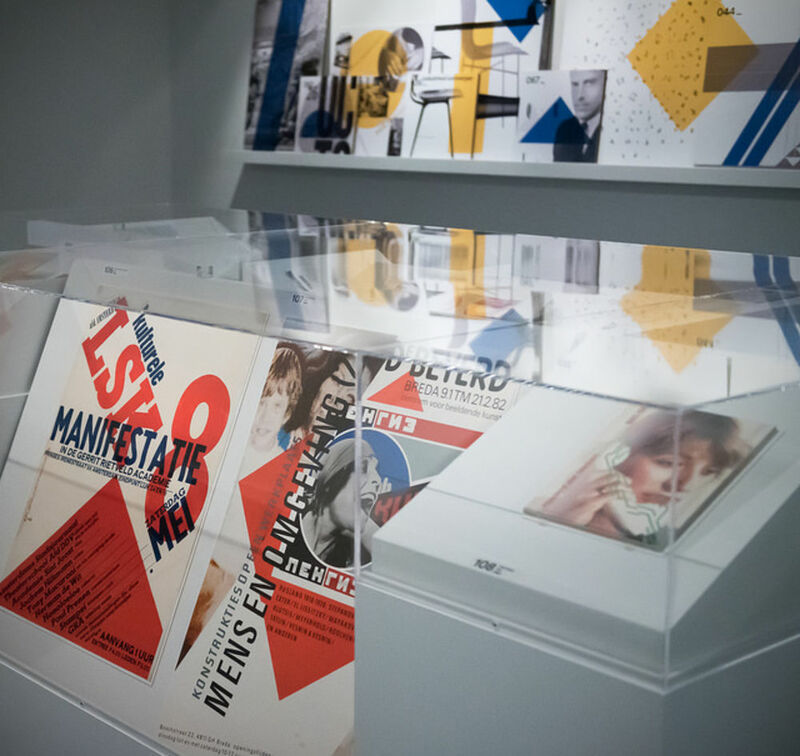 To mark the centenary of De Stijl, a new exhibition has just opened in the Special Collections of the University of Amsterdam which showcases the breadth of Dutch modernist graphic design as influenced by De Stijl and the international avant-garde. 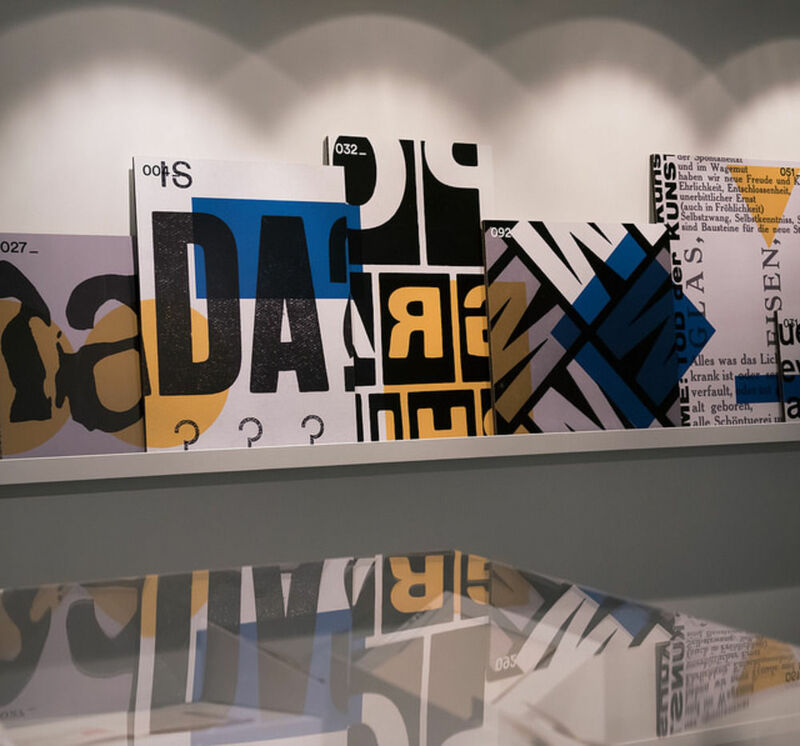 As the first retrospective of this work to be held in the Netherlands, Modernism: In Print includes a broad selection of print items, from posters to type specimens and sketches and plans, which demonstrate the manner in which modernism came to visually dominate our daily life over the course of the past century. 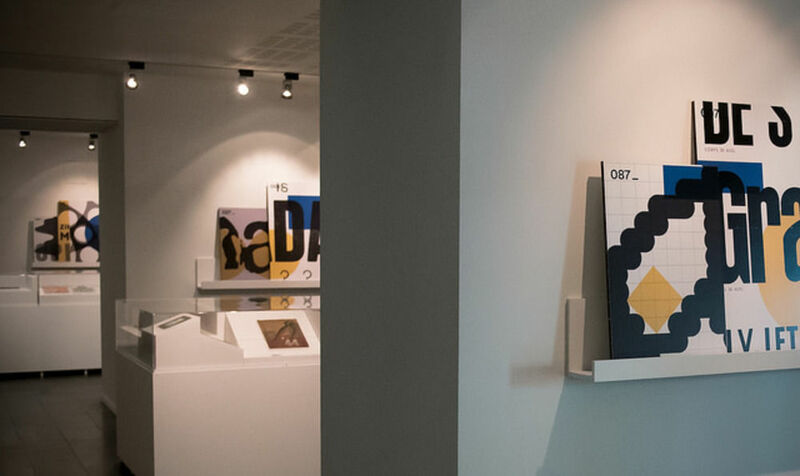 The exhibition features the work of designers including Piet Zwart, Wim Crouwel, Jan Tschichold, Karl Gerstner and Experimental Jetset, among many others, and is designed by Studio PutGootink, who have also created a set of commemorative stamps for the Dutch postal service to mark the centenary, based on the work of prominent De Stijl member Piet Mondrian. 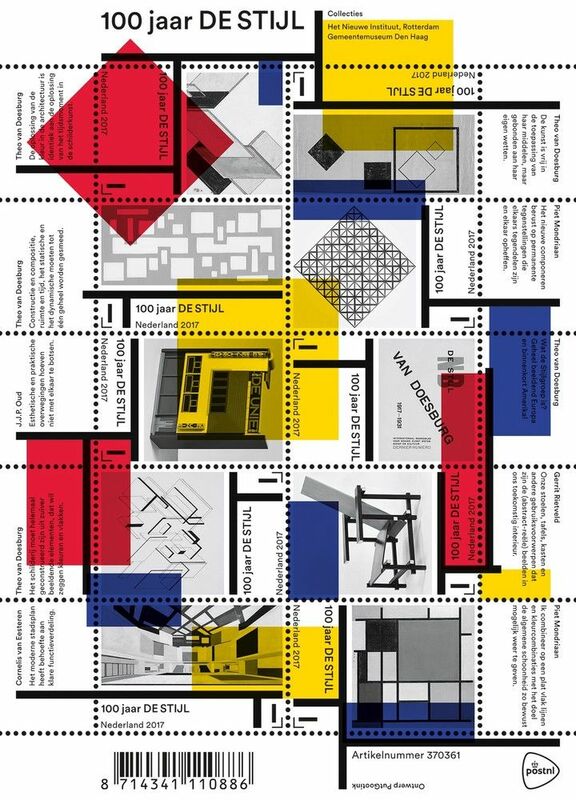 100 jaa DE STIJL commemorative stamps, designed by Studio PutGootink. 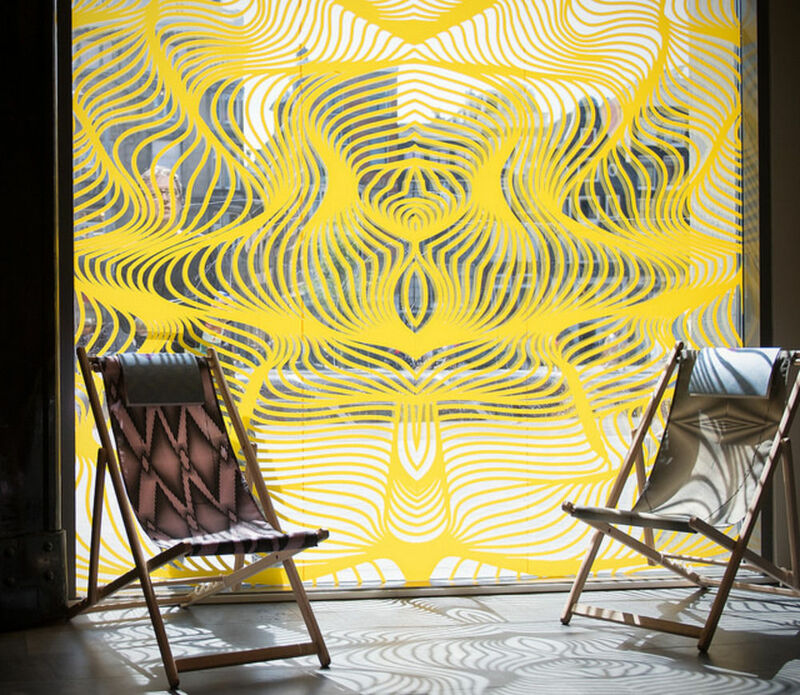 Alongside Modernism: In Print, the Special Collections of the University of Amsterdam is also showing a parallel exhibition of the work of Dutch designer Hansje van Halem, In Patterns. 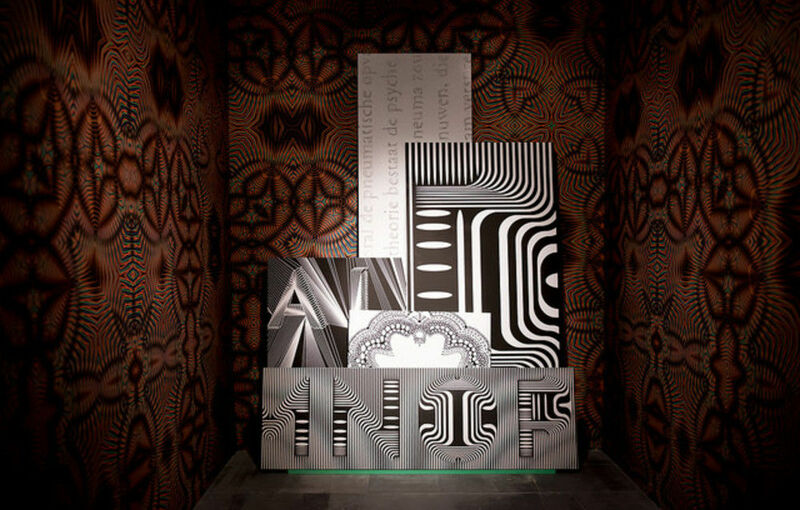 Conceived as a response to Modernism: In Print, van Halem's exhibition sets aside the modernist rejection of ornament and its fascination with the monochrome, and presents a kaleidoscopic range of pattern-based work encompassing prints, posters, installations and projections to create an immersive and meticulously detailed environment. 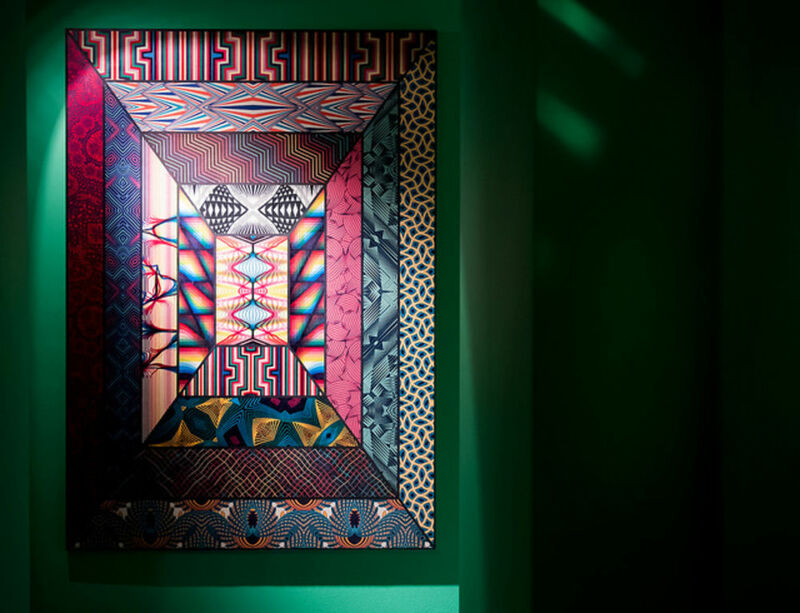 Together, the two shows celebrate the diversity and creativity within Dutch graphic design and offer a thought-provoking perspective on the ways in which the tenets of modernism can be interpreted. 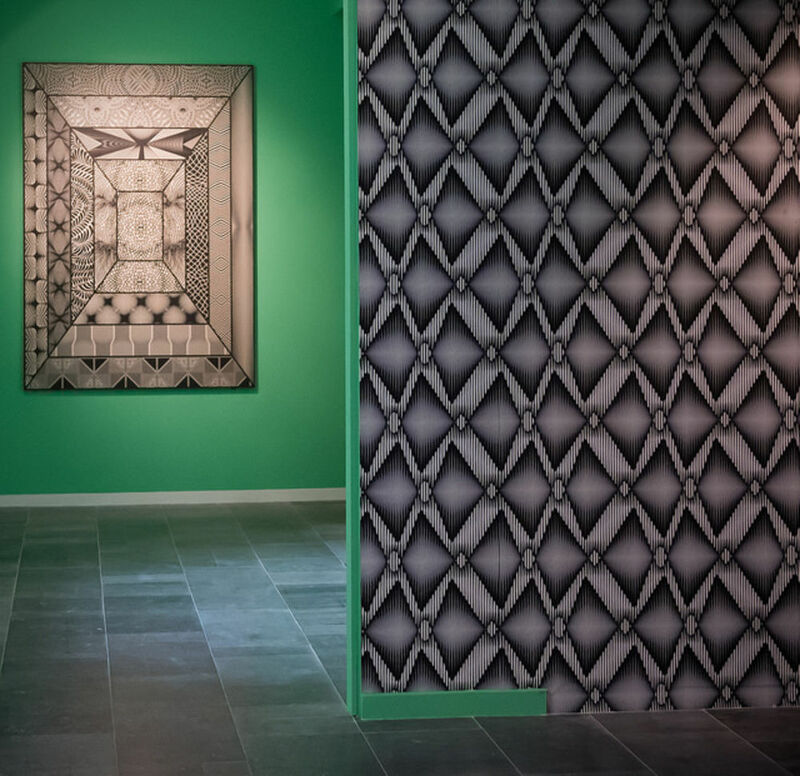 Hansje van Halem: In Patterns at the Special Collections of the University of Amsterdam. Exhibition photography by Monique Kooijmans.